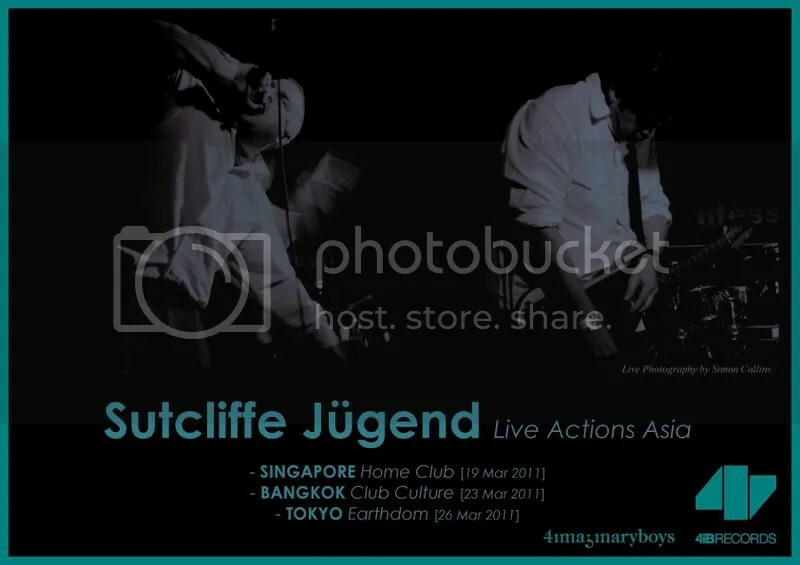 We are pleased to present SUTCLIFFE JUGEND’S maiden voyage of aural mayhem to Southeast Asia from 19 – 26 March 2011. They will be playing tracks from their old albums as well as new. For the very first time, they will also specially play classics from their seminal “We Spit on Their Graves” release that have never ever been performed live before. Keep a lookout also for their new album “Pursuit of Pleasure” that will be released on limited edition vinyl under 4iB Records. Stay tuned for more updates.